Looking for a charming coastal getaway in the heart of Seaside? Seashell Beach House is a newly renovated two bedroom home perfect for your next family retreat. This home features beautiful decorations throughout the house as well as many modern furnishings. In the main living space, guests can find a spacious living room complete with two sofas and a flat screen TV. In addition, cozy up to the warmth of the gas fireplace in the beautifully decorated living room. Off the main living space is the kitchen and dining room, with seating for up to six guests at the main table and three kitchen counter stools as well. 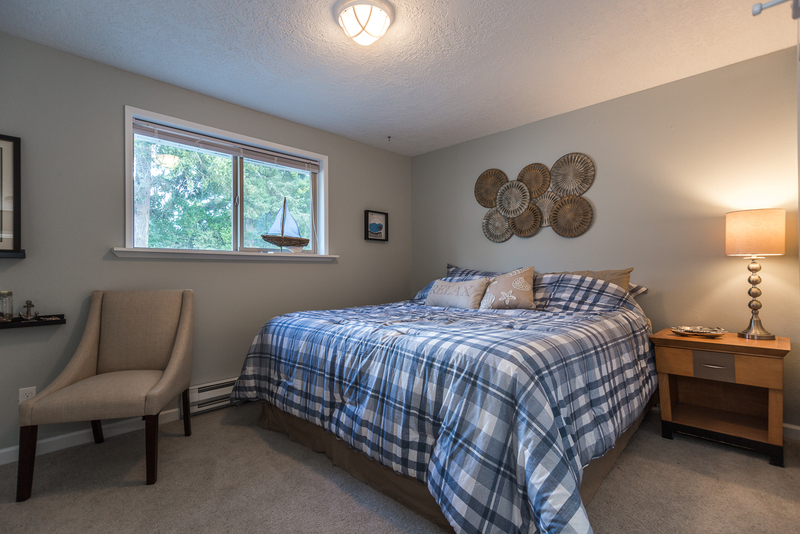 In the master bedroom, guests will find a king bed in a spacious, beautifully decorated area on the east side of the home. The second bedroom features a queen bed on the west side, and is separated from the master by a shared bathroom. The bathroom is well-lit and has a shower and tub combination for guests. There are two children's bicycles for guest to enjoy. A dog run also allows for your dogs to be fenced in the yard while vacationing here. This home is perfect for families looking to go fishing or clamming. Located close by to neighboring grocery stores, it's also a great location for easy access to everything Seaside offers. 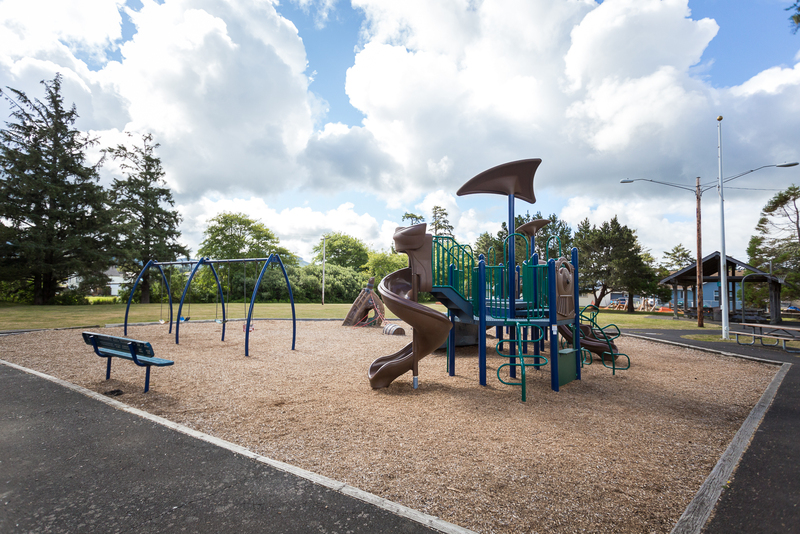 Just across the street from this home, visitors can find Cartwright Park, perfect for the pups and kids. 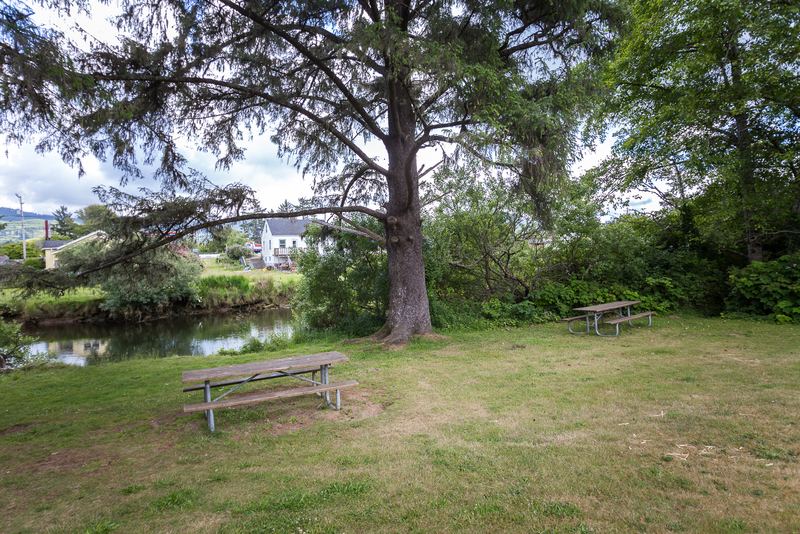 This park features a covered area, playground equipment and benches adjacent to the nearby Necanicum River. In addition to these areas, the beach is four blocks away with a plethora of driftwood that can be used for fetching and tons of sand for the kids to play with! Come down to the Seashell Beach House today and enjoy this gorgeous home with the whole family! "Beautiful house. Comfortable, cozy well furnished. Close to the beach. " "Hello Norma, Thank you for your review. We are glad to see that you enjoyed your stay at Seashell Beach House. It sounds like this home was perfect for you and your family! We hope to have you back again soon." "What a darling beach house, immaculate and well stocked with plenty of kitchen items, activities and games, pool table and even a couple kids' small bikes and helmets! Everything you need in a home-away-from-home! Ideal location at the end of town where it's quiet and just a couple blocks to the beach. Within a short drive of several other Oceanside towns where we did some exploring. In our opinion, Seaside was by far the best town and we couldn't have asked for a better beach house! Would have loved to stay longer and will definitely return again! " "The home was clean, beautiful and well supplied with necessities and entertainment." "Hello Tamara, Thank you for your review. We are glad to see that you enjoyed your stay at Seashell Beach House! We're happy to hear that the home was well supplied with everything you needed to enjoy your vacation. We hope to see you again soon! Thank you again for your review." "Loved the stay and loved the home. Very cute and bright! We also loved that there was a park across the street it was super convenient. The price was awesome too. It was perfect overall. 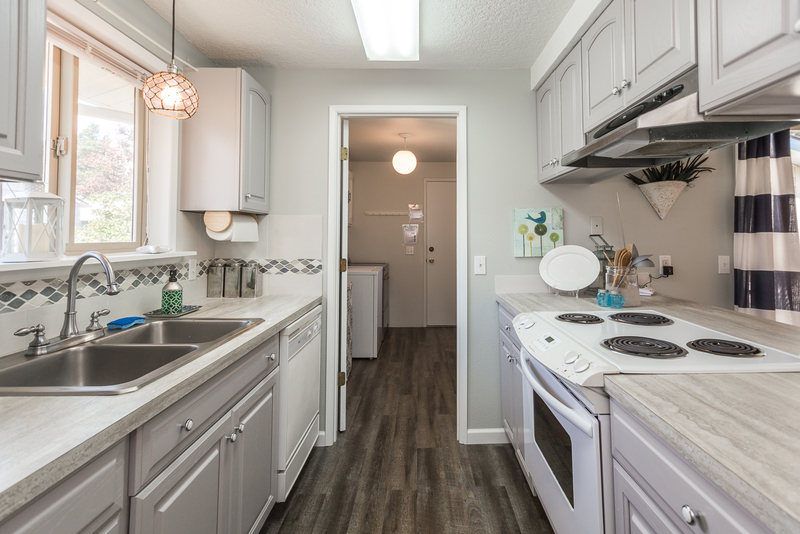 Only down sides is the kitchen doesn't have much supplies compared to other homes I have rented and also there was only one pack of detergent to wash clothes with." "Koy, Thank you for your review in regards to your visit to Seashell Beach House located in Seaside. We are pleased to hear you enjoyed this cute, adorable home that the owner has set up to yell welcome as soon as you step inside the front door. It will brought to the housekeeping inspectors attention that there was only 1 packet of laundry detergent as we are to provide 5 so we apologize for this. Again, thank you Koy and we hope to hear back to assist in planning your next coastal getaway." "A beautiful home that felt like home! Clean and ready for a weekend retreat. " "Hello Cynthia, Thank you for your review. We are glad to hear that you loved your stay at Seashell Beach House! We hope to see you again soon in the near future!" "Such a comfortable, pleasing house - we love it! The beds are GREAT which is rare in a rental. " "Hello Mary, Thank you for your review. We are so happy to hear that you loved your stay at Seashell Beach House! We hope to see you again soon on the Oregon coast! " "We had a great time staying at Seashell Beach house. It was just a quick walk to the beach, where we enjoyed walking our dog on the sand, flying kites, and taking in the sunset. We had only one rainy day, which we spent doing a puzzle and relaxing on the sofas. Beds were very comfortable. It was nice that each room had its own thermostat, as my sister and I can never agree on temperature control! Kitchen had everything we needed for light cooking." "Helo Erin, Thank you for your review. We are glad to hear that you enjoyed your stay at Seashell Beach House. It sounds like this home was perfect and offered everything you needed to enjoy your stay! We hope to have you stay with us again in the near future!" "We had such a great time at this house, we WILL be back. I think we were most impressed with the use of space and the decor. We loved the game room, and the vicinity to park, golf course, and short drive/long walk to downtown Seaside. If I had to name them, biggest drawbacks are the neighbor next door (VERY close, no privacy), yard not fenced and only 1 bathroom. Thank you so much, we loved visiting!" "Loved our stay! The house was comfortable, cozy, clean and relaxing. This is one we will highly recommend to others and also keep bookmarked for another visit "home". " "Hello Julie, Thank you for your review. We are so happy to see that you enjoyed your stay at Seashell Beach House. We can't wait to see you again soon on the Oregon coast!" "Was great. Everything was perfect"
"Hello Alina, Thank you for your review. We are pleased to hear that you enjoyed your stay at Seashell Beach House on a girls trip. We hope to have you stay with us again in the future. Thank you again for your review." "It was everything we hoped for and then some. Great house and great location. Perfect for four adults (two couples). Close to beach, restaurants, store, etc. No need to drive anywhere - just park your car, move in, and have a wonderful beach experience." "Hello Tammy, Thank you for your review. We are glad to see that you enjoyed your stay at Seashell Beach House. We are hoping to see you back again soon on the Oregon coast for another wonderful getaway!" "We loved this little beach house, close to the beach and a little park. A bit of a walk into town but a very short drive or a good walk after dinner! Nice and clean (bedroom carpets could use a shampoo, but all good). We will be back!" "Hello Robin, Thank you for your review. We are glad to see that you enjoyed your time at Seashell Beach House! We have since cleaned the carpets in this home since you stay, so thank you for bringing them to our attention! We can't wait to see you back again soon on the Oregon coast!" "Wish we had more time to stay longer. Only issue we had was trying to figure out the TV remote control." "Hello Heather, Thank you for your review. We are glad to see that you enjoyed your time at Seashell Beach House, even if it was too short. As for the problems with the remote control, we would have loved to help you figure this out. Our office staff is on call 24/7 for these kinds of situations. Please remember this for any future stays! We always want our guests to have their best vacation. Thank you again for your review, and we hope to see you back again soon on the Oregon coast!" "We loved staying at the Seashell Beach House. It was nicely appointed and the beds are very comfortable. The park across the street is great. Only suggestions are maybe a DVD player for the TV or connect the smart TV to the router so we could cast netflix etc to the TV. oh, and maybe purcahse a pizza cutter for the kitchen. Fantastic, we'll be back!" "Mr. Gillins, Thank you for your review of Seashell Beach House in Seaside. This home is a lovely, well appointed home and we are happy to know you recognized this as well. The homeowner has taken great steps to provide the 'welcome feel' to this home. She has recently installed a DVD player in the home for guest to enjoy that special movie making for a cozy evening. We hope you will think of this home for your next visit to the beautiful Oregon Coast and again, thank you for your review." "2nd time this year. Great place "
"Hello Gabe, Thank you for your review. We are glad to see that you enjoyed another stay at Seashell Beach House! We hope to see you again for a 3rd time!" "This was our first time renting a house through Oregon Beach Vacations. We loved it! The extra space and ability to cook all our meals was great!" "Hello Melissa, Thank you for your review. We are glad to see that you enjoyed your stay at Seashell Beach House. We hope to see you back again soon on the Oregon coast. Thank you again for your review." "This house was perfect for us. It is about four blocks from the beach and about a mile along the beach to the coffee shops in downtown Seaside. This is ideal for dog walking. What more could you ask for. A stroll down the beach in the morning, grab coffee a nd a pastry, and a stroll back. Two tired dogs for the rest of the day. The house was very clean and well equipt. The king sized bed was the most comfortable bed I have ever slept in, other than my own. I would definitely stay there again. To anyone wanting a holiday with dogs it couldn't have been more ideal. If I was being picky I would have liked a hose around the back to wash sand off the dogs after running on the beach." "Hello Kim, Thank you for your review. We are so happy to see that you enjoyed your time spent at Seashell Beach House. We are so glad that you were able to feel right at home in Seaside on your trip to the Oregon coast. We hope to see you back again soon for another wonderful stay! Thank you again for your review." "Great weekend! House was immaculate, warm and open. " "Lorene, Thank you for your review of your recent visit to Seashell Beach House located in Seaside. We are pleased to hear you enjoyed this home as the owner has taken extra steps to make the home cozy and very welcoming from the minute you open the front door. Again, Lorene thank you and we look forward to hearing back from you to help plan your next coastal getaway. " "We loved our weekend stay in this beautiful home! It was nicely decorated and clean! Great location with a short walk to the beach and reasonable walk to the Main Street! Beds were very comfortable and bedding was nice! Well stocked kitchen and linen closet! Looking forward to staying again!" "Hello Heidi, Thank you for your review. We are so happy to see that you enjoyed your stay at Seashell Beach House! We can't wait to help you vacation again soon on the Oregon coast!" "We had a wonderful time , it was clean , easy access to shopping and beach and the kids loved playing the games that were in the garage. The playground across the street was a hit as well. We plan to come back. " "Hello Peggy, Thank you for your review. We are glad to hear that you had a great stay at Seashell Beach House! It sounds like this rental was near by all of the fun things there are to do on the Oregon coast. We look forward to having you stay with us again in the near future!" "Recently enjoyed a 6 night stay at the Seashell Beach House. The home is located in a lovely, quiet section of town, close to the nearly private section of the beach at Seaside. We had a great time. The house was welcoming, clean and had adequate supplies for us. " "Hello Jeremy, Thank you for your review. We are glad to hear that you enjoyed your stay at Seashell Beach House. We're happy that the home was clean and quaint for your six day stay! We hope this means that you'll be back again soon on the Oregon coast for another wonderful vacation." "We could have not asked for a nicer 3 day weekend at the Oregon coast. Beautiful weather and a beautiful home! The house was clean and nicely decorated. It's located across from a city park and a short 5 block walk to the beach! 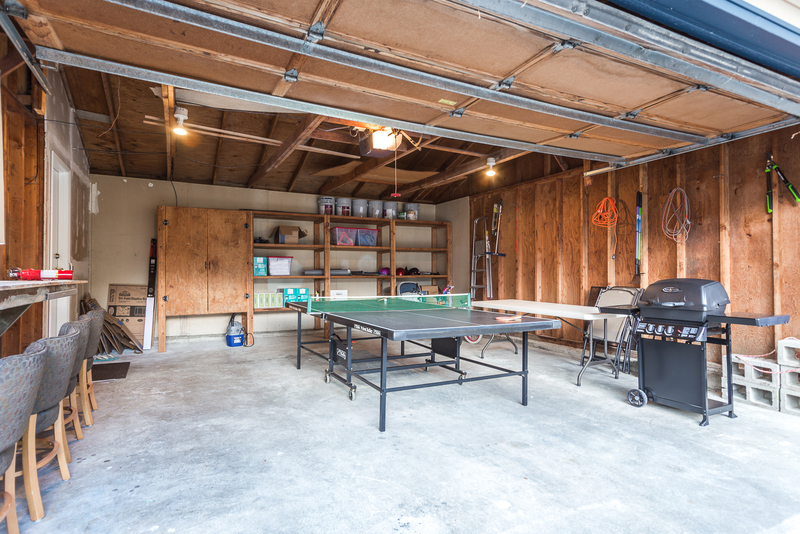 Beds were very comfortable and my wife and I enjoyed playing ping pong in the garage. We are making plans to spend a week or so toward the end of summer. We have already recommended the house to several of our friends." "Bruce, thank you for the kind words! We are happy to hear you enjoyed your getaway and, look forward to seeing you soon!" "This sweet, close-to-the-beach home was perfect for our party of 4! We really appreciated that it was dog-friendly with a special area outside for our pup. This house was a very convenient location to downtown Seaside and an easy drive to Cannon Beach. We would definitely stay there again!" "Hello Michelle, Thank you for your review. We are glad to hear that you enjoyed your stay at Seashell Beach House. It sounds like your home was perfect for everyone in your party, even your puppy! We look forward to having you all stay with us again in the future." "Perfect ocean bungalow, cute for couples and small families. Only negative is hot water heater is small. Just two of us stayed in the house and we ran out of hot water each time we showered so stagger the showers." "Hello John, Thank you for your review. We are glad to hear that you enjoyed your stay at Seashell Beach House. We are sorry to hear about the water heater. This is often the case in older, smaller homes, but we are glad that you enjoyed your stay overall. We hope to have you stay with us again in the near future." "Best vacation home to stay in. The house was very comfortable, clean and close to the beach! We felt at home and loved having extra toys and books for our 2 year old son to play with! Only negative was that it wasn't a long enough stay! Can't wait to come back!" "Hello Daniele, Thank you for your review. We are glad to see that you enjoyed your stay at Seashell Beach House. We are happy to hear that your son was able to enjoy his stay as well with plenty of books and toys for him to play with! We hope to see you again soon on the Oregon coast. Thank you again for your review." "We have stayed here many times - it's always clean, nicely decorated, the bed are great, and it has everything we need - easy walk to the beach." "Hello Mary, Thank you for your review. We are glad to hear that you enjoyed your stay at Seashell Beach House. We hope to have you continue staying with us at this cozy beach house. " Wow! Roomy, comfortable, quiet, well appointed. "This was a great rental experience. Instructions for getting in were clear. The place is very roomy, tastefully decorated. The bed was very comfortable, the kitchen was well stocked - making food was easy.This place is not on the beach - but the beach is only a few blocks away a short stroll. The location was good - Seaside has plenty of places to eat, a grocery store, etc. Also, it was easy to visit other places from there as well. We made a trip to Ecola State Park that has fantastic hiking and some very scenic beaches as well as tide pools." "Hello Norm, Thank you for your review. We are glad to see that you loved your stay at Seashell Beach House! We hope to see you back again soon!!" You would be smart to pick Sea Shell Cottage. "Our family is getting to know Seaside very well and this is the quietest and nicest area to find a rental. Downing Street goes all the way from the house into town without getting on Hwy 101.Seashell Beach House is nice and exceptionally clean. 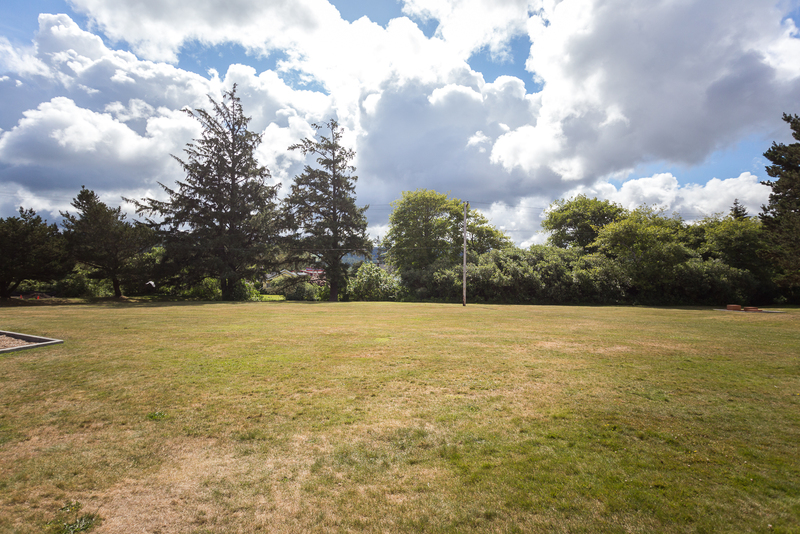 It sits directly cross the street from a nice park with play and picnic areas. The beach is within walking distance, eight minutes to the sand. Available at the house is ping pong, a scooter, kites, sand toys, and a grill. The bedrooms are very nicely appointed with clean and comfortable beds; the pillows are a little hard but we had our own. There is one bathroom with two entrances. The kitchen is clean and functional for one or two people.Compared to other houses weve visited Sea Shell Cottage is light on expendables. You will need to bring your own aluminum foil, plastic wrap, or Tupperware. Provided were two rolls of toilet paper, one roll of paper towels, and two garbage can liners which is not enough for a family of five for an entire week. The Dog run is an 8x10 pen with a stone floor. There was no hose for the spigot which made it difficult to rinse dog and people feet to keep the house clean. Lastly, there was no pen to write in the guest book. All said I would stay here again because it in the top clean homes weve enjoyed and we prefer a quiet neighborhood. Seaside Bagel is in walking distance and should not be missed, Grizzly Tuna is north about five minutes on Hwy 101 and had delicious Fish & Chips, and Rubys is a fun little local hamburger/rib/beer joint within walking distance on the other side of Hwy 101." "Hello Michael, Thank you for your review. We are glad to hear that you enjoyed your stay at Seashell Beach House. We provide each of our homes with two rolls of toilet paper per bathroom. We also have it written in our booking process what we provide for each of our guests during their stay. We call it a starter pack of supplies. This pack of supplies is the same as what our competitors offer. We are sorry for any inconvenience this may have caused. We would certainly have been happy to bring you out more had we been made aware of your family needing more. Thank you again for your review, and we hope to see you all back again soon for another great vacation to the Oregon coast!" "Nice little house, it says it will sleep 6, not 6 adults, luckily only 3 of us made it so it was great." "Hello Vanesa, Thank you for your review. We are glad to hear that you enjoyed your stay at Seashell Beach House. We hope to have you stay with us again soon on the Oregon coast." "Hello Kirk, Thank you for your review. We are glad to hear that you enjoyed your stay at Seashell Beach House. We hope to see you on the Oregon coast again soon!" "Despite the home not being cleaned when we checked in (at normal time), the owner/manager quickly responded and sent a crew to get it ready. Otherwise, lovely home and enjoyed our stay." "Hello Holly, Thank you for your review. We are glad to see that you enjoyed your stay at Seashell Beach House. We are sorry to hear that the home wasn't ready for you and your family when you arrived, but glad to hear that this issue was quickly resolved. We hope to see you back again soon on the Oregon coast. Thank you again for your review." "We SO enjoyed our stay! Very comfortable, well-equipped, spotless, and conveniently located. We enjoyed strolling through the neighborhood, the boardwalk, and the beach. Ditto for local restaurants, and sightseeing in Astoria and Cannon Beach. The addition of a grab bar in the shower would be a welcome addition for us 70+ travelers." "Hello John, Thank you for your review. We are glad to hear that you enjoyed your overall stay at Seashell Beach House. We can certainly take your suggestion into account. Thank you again for your review, and we hope to have you stay with us again soon on the Oregon coast." "This little house was very nice. Short walk to the beach was a plus. Only complaint was all the fees that were tacked on which don't appear to be refundable. " "Hello Becci, Thank you for your review. We are glad to hear that you enjoyed your stay at Seashell Beach House. We are happy that the home was clean and comfortable for your stay and that the beach was close enough to enjoy! We hope to have you stay with us again soon." "Great house for multiple guests and dog. Cleanest dog rental I've stayed in. The house? had everything you would? need. Cute furnishings, newer. The location is a little rough but safe. 5 blocks to the prom but a good hefty walk to the main drag." "Thank you Bev for your review. We, at Oregon Beach Vacations are pleased to hear you found the home clean and furnished with everything needed to enjoy your visit. The owner has taken great pride in making the home welcoming from the moment you open the front door. We hope to hear back to assist in planning your next getaway to the beautiful Oregon Coast to make memories to last forever! "